US independent Anadarko Petroleum aims to spend about $200 million on its planned Mozambique liquefied natural gas (LNG) export project in 2019 as it is looking to make a final investment decision. 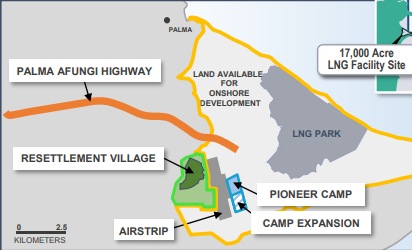 Anadarko said on Thursday revealing the company’s 2019 capital investment that the investment will be allocated toward Anadarko’s portion of the costs associated with ongoing site preparation for the shared Mozambique LNG onshore facilities. Anadarko said it remains on track for the project’s FID consideration in the first half of next year, adding that it plans to adjust its capital-investment expectations associated with the Mozambique LNG project at the time of project sanction.